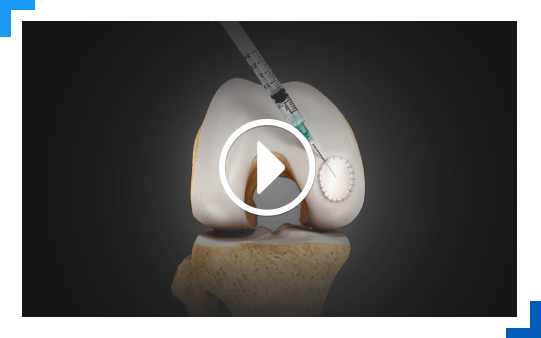 Precision Ortho Express offers immediate access to a total orthopedic solution for patients in an office setting with expanded hours. 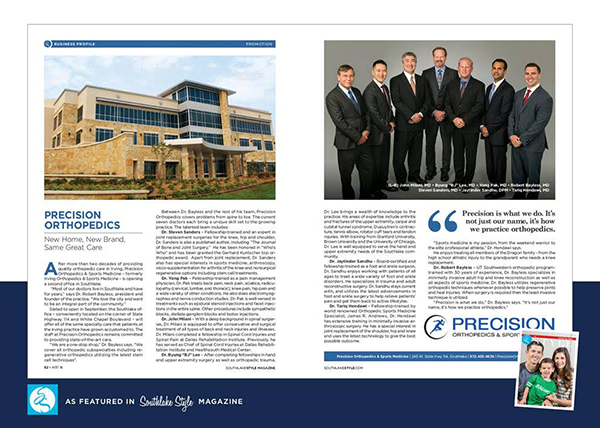 (December 4, 2018) Southlake, TX – Precision Orthopedics & Sports Medicine is excited to announce the opening of Precision Ortho Express, an orthopedic express access clinic offering the “Right Care, Right NOW!” The clinic specializes in all orthopedic, sports, and spine needs for patients aged 3 to 100+ years. Precision Ortho Express will be in their new Southlake office located at 245 W. State Highway 114, Southlake, TX 76092. Orthopedic providers and staff will give the same great care provided to patients at Precision Orthopedics & Sports Medicine offices in Irving and Southlake. Precision understands how busy patients can be and appreciates that when patients are hurting, they want to feel better as soon as possible. With a visit to Precision Ortho Express, they’ll skip the wait at the emergency room or an urgent care center. And their wait for a referral appointment can be shortened. Patients can walk in without an appointment and will typically be seen within 15 minutes of their arrival. They can also schedule an appointment, same day or otherwise, which can reduce their overall visit time. Appointments are accepted, but not required. Generally, a visit to Precision Ortho Express will be considered a specialist office visit co-pay with no facility fees. Precision Ortho Express looks forward to providing excellent, quality orthopedic care to patients, close to home and when they need it. They offer the Right care, Right now!™ Precision Ortho Express will be open Monday through Friday from 11 a.m. – 7 p.m. To learn more, visit www.PrecisionOrthoExpress.comor call 682-477-4313. Precision Orthopedics and Sports Medicine, formerly Irving Orthopedics and Sports Medicine, has been providing quality patient care since 1992. Their team of physicians offers high quality in orthopedic care in all areas including hand, upper extremity, foot, ankle, hip, knee, spine, trauma, fractures, total joint replacement, sports medicine, regenerative medicine, arthroscopic surgery, physical medicine and rehabilitation. Services available on site in their Irving and Southlake offices are general office visits, consultations, injections, stem cell therapy, physical therapy, MRI, X-Ray, and surgery for patient convenience. Located in their Southlake office, the Precision Ortho Express clinic is an orthopedic express access clinic offering total orthopedic solutions for patients on a walk-in basis. Precision Orthopedics & Sports Medicine Welcomes Bantoo Sehgal, M.D. Dr. Bantoo Sehgal joins Precision Orthopedics as an Orthopedic Surgeon and Sports Medicine specialist. 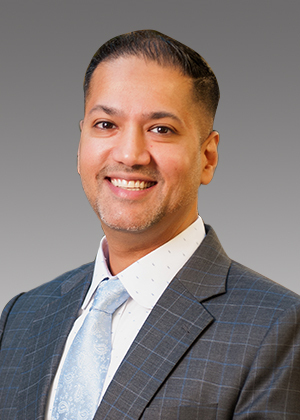 (November 1, 2018) Southlake, TX – Precision Orthopedics & Sports Medicine is pleased to announce that Dr. Bantoo Sehgal has joined the practice as one of their Orthopedic Surgeons and Sports Medicine Specialists. Dr. Sehgal is an experienced, board-certified Orthopedic Surgeon who is fellowship-trained in Sports Medicine. He graduated from State University of New York at Stony Brook and went on to receive his Doctor of Medicine at Ross University School of Medicine. Dr. Sehgal did his Orthopedic Surgery residency through New York Medical College at St. Vincent’s Hospital in Manhattan and his Sports Medicine fellowship at Kaiser Permanente Orange County. He is a member of the American Orthopedic Society for Sports Medicine, the Arthroscopy Association of North America, and the International Society for Hip Arthroscopy. He is a fellow with the American Academy of Orthopedic Surgeons. Dr. Sehgal is Board Certified by the American Board of Orthopedic Surgery and has a Subspecialty Certificate in Orthopedic Sports Medicine. He has an extensive background in team sports, including high school varsity football coverage for NYC Public Schools Athletic League and El Modena High School and Division III College Football Coverage for Chapman University. He was also the Head Team Physician for Ada-Borup High School Athletics and the Texas Revolution Professional Arena Football team. Precision Orthopedics & Sports Medicine is excited to have Dr. Sehgal on the team. To schedule a visit, call the office at 972-438-4636 or visit their website at PrecisionOrthoSports.com. (August 30, 2018) Irving, TX – Precision Orthopedics & Sports Medicine announced the addition of Dr. Brian Gengler to their practice with offices in Irving and Southlake. 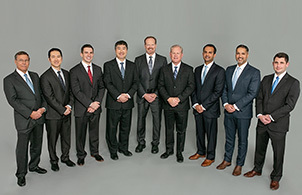 Fellowship trained in Spine Surgery, Dr. Gengler will practice alongside Dr. Robert Bayless, Dr. Steven Sanders, Dr. Yong Pak, Dr. Byung Lee, Dr. John Milani, Dr. Jaytinder Sandhu, and Dr. Tariq Hendawi beginning September 4, 2018. Robert E. Bayless MD, President and Founder of Precision Orthopedics & Sports Medicine, says "Dr. Gengler brings additional Spine Surgery talent to our already impressive team of surgeons. We look forward to working with him to continue to offer our patients the best in spine care." Dr. Brian Gengler holds a Bachelor of Science in Biology from Kansas State University and a Doctor of Medicine from University of Kansas School of Medicine. 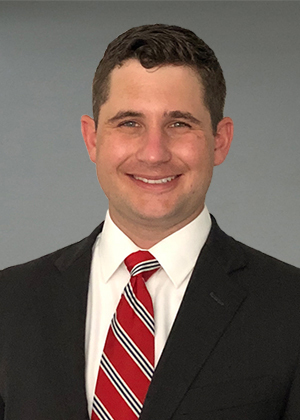 Dr. Gengler completed a five-year orthopedic surgery residency at the University of Texas Medical Branch and a spine surgery fellowship at Texas Back Institute in Plano, Texas. During fellowship, he received additional training in the diagnosis and treatment of cervical and lumbar degenerative disorders, adult spinal deformity, and spinal trauma. Dr. Gengler has extensive experience in advanced surgical techniques including artificial disc replacement, spine instrumentation and fusion, and minimally invasive and robotic spinal surgery. Dr. Gengler specializes in the diagnosis and treatment of cervical, thoracic, and lumbar spinal disorders. His clinical interests include degenerative conditions, spinal stenosis, spondylolisthesis, disc disorders, adult spinal deformity, scoliosis, and spine trauma. His professional memberships include American Academy of Orthopaedic Surgeons, North American Spine Society, and Texas Orthopedic Association. Dr. Gengler is excited to be part of the impressive team at Precision Orthopedics & Sports Medicine and looks forward to working with his patients to get them back on track to their best self. Precision Orthopedics and Sports Medicine, formerly Irving Orthopedics and Sports Medicine, has been providing quality patient care since 1992. Our team of physicians is Board Certified, fellowship trained, and experienced in hand/upper extremity, foot/ankle, hip, knee, sports medicine, regenerative medicine, trauma/fracture care, arthroscopic surgery, total joint replacement, spine, and physical medicine and rehabilitation. Services available on site in our Irving office are general office visits, consultations, injections, stem cell therapy, physical therapy, MRI, X-Ray, and surgery for patient convenience. Appointments are also available in our Southlake office. Find us on Facebook and Twitter. Irving Orthopedics & Sports Medicine is excited to announce their new name, Precision Orthopedics & Sports Medicine. This name change reflects the growth the practice has experienced since 1992. The practice now has two locations, the original and current location at 2120 N. MacArthur Boulevard in Irving and the recently added Southlake location which is currently in the Better Faster Urgent Care at 630 N. Kimball Avenue. Precision Orthopedics & Sports Medicine looks forward to opening their brand new Southlake office in April 2018. 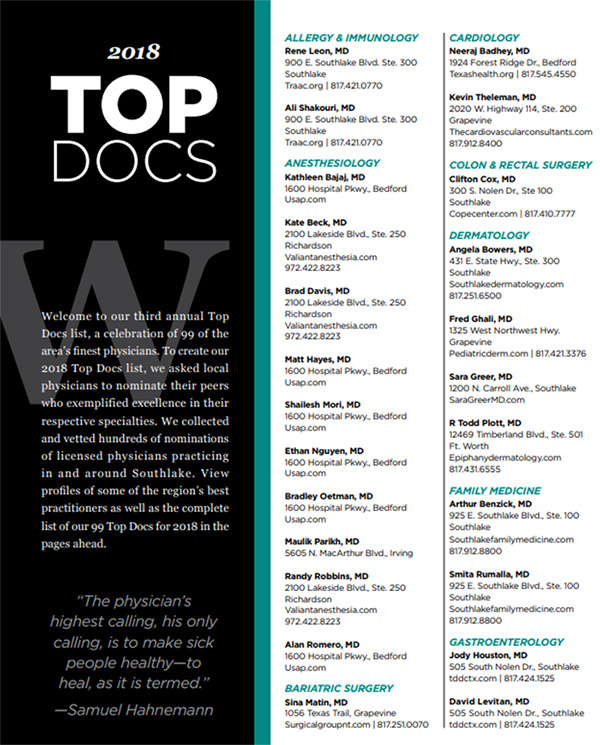 We are pleased to inform you that all our doctors at Precision Orthopedics & Sports Medicine have been featured in the third annual Top Docs list celebrating the finest physicians in Southlake. Once again underscoring our commitment to providing the highest level of orthopaedic care to the community in and around Southlake. (January 12, 2018) Irving, TX – Precision Orthopedics & Sports Medicine, formerly Irving Orthopedics & Sports Medicine, announced the addition of Dr. Tariq Hendawi to their Irving office. Robert E. Bayless MD, President and Founder of Precision Orthopedics & Sports Medicine, says “Precision Orthopedics & Sports Medicine is proud to announce that Dr. Tariq Hendawi has joined our practice. Dr. Hendawi has just completed one of the most prestigious sports medicine fellowships in America with Dr. James Andrews and his associates in Florida. Dr. Hendawi's training will allow him to use the latest in technology and surgical techniques to help improve the lives of our patients.” With advanced training in arthroscopic surgery and sports medicine, Dr. Hendawi practices alongside Dr. Robert Bayless, Dr. Steven Sanders, Dr. Yong Pak, Dr. Byung Lee, Dr. John Milani, and Dr. Jaytinder Sandhu. Tariq Hendawi, MD received his Bachelor of Science in Biological Sciences from Louisiana State University in Baton Rouge. He then earned his Doctor of Medicine from Louisiana State University Health Sciences Center in New Orleans. As a medical student, he was elected to the prestigious Alpha Omega Alpha Honor Medical Society. Dr. Hendawi did his Orthopedic Surgery Residency at the Ochsner Clinic Foundation in New Orleans where he was trained by the team physicians of the New Orleans Saints and Pelicans professional teams. During his residency, he served as the academic chief resident. He was fellowship trained in Orthopedic Sports Medicine by the world-renowned Dr. James Andrews at the Andrews Institute for Orthopaedics & Sports Medicine in Gulf Breeze, Florida. Dr. Hendawi is a member of several professional societies, including the American Orthopedic Society for Sports Medicine, American Academy of Orthopedic Surgeons, and Arthroscopy Association of North America. He has presented research locally and nationally and continues to perform research in the area of Sports Medicine. His research has appeared in multiple publication in peer-reviewed journals. As a former varsity football player, Dr. Hendawi has always enjoyed working with athletes of all types. During his fellowship, he was involved in team coverage for the Washington Redskins, Auburn Tigers football team, Pensacola Clue Wahoos baseball team (affiliate of the Cincinnati Reds), and basketball teams at Xavier University, University of New Orleans, and Dillard University. 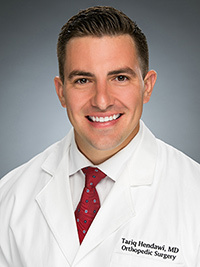 In addition, Dr. Hendawi has enjoyed many years of working with local high school teams, including his current role as team physician for The Highlands School football team in Irving. “I look forward to bringing my extensive training in minimally invasive arthroscopic surgery along with robotic and computer assisted joint replacement to Precision Orthopedics & Sports Medicine. I am working to grow our sports outreach program and bring exceptional orthopedic care to the athletes in our community. From the weekend warrior to the professional level, I look forward to working with athletes at all levels return to and perform at their best. The most enjoyable part of my day is building relationships with my patients as we work together to get them back in the game,” says Tariq Hendawi, MD.